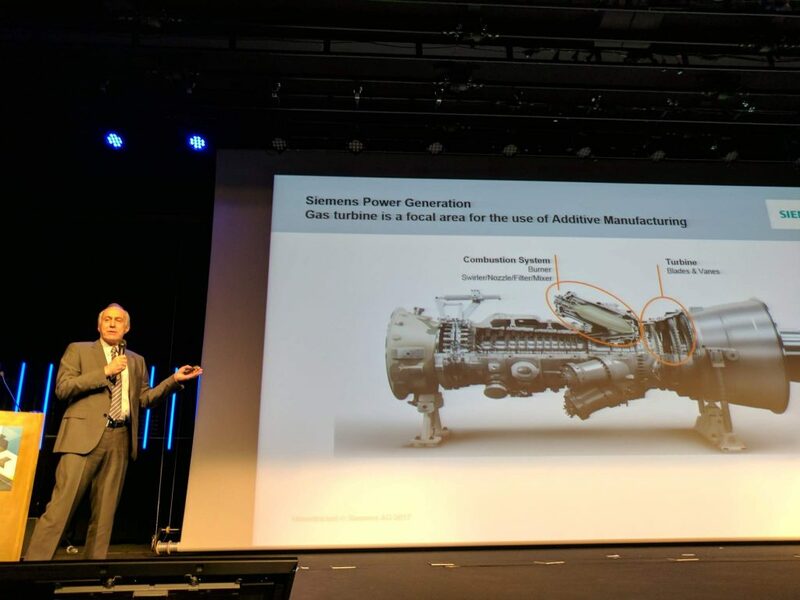 Siemens has unveiled plans to, “accelerate the adoption of 3D printing as a mainstream production method for industrial parts.” With a new digital part manufacturing platform the German company plan to bring on-demand product design and 3D printing production to the global manufacturing industry. 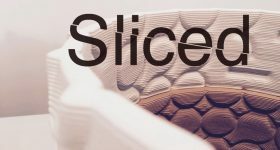 As previously reported by 3D Printing Industry, Siemens has already integrated 3D printing software from Materialise, topology optimization generation from Frustum, metal 3D printing from Trumpf (and others) and is working with Stratasys. “With our software portfolio we are the only supplier capable of offering the digital twin across the entire value chain – for products, for production and complete plants,” says Klaus Helmrich, Member of the Managing Board of Siemens AG. Andreas Saar, VP Manufacturing Engineering Solutions. Photo by Michael Petch. 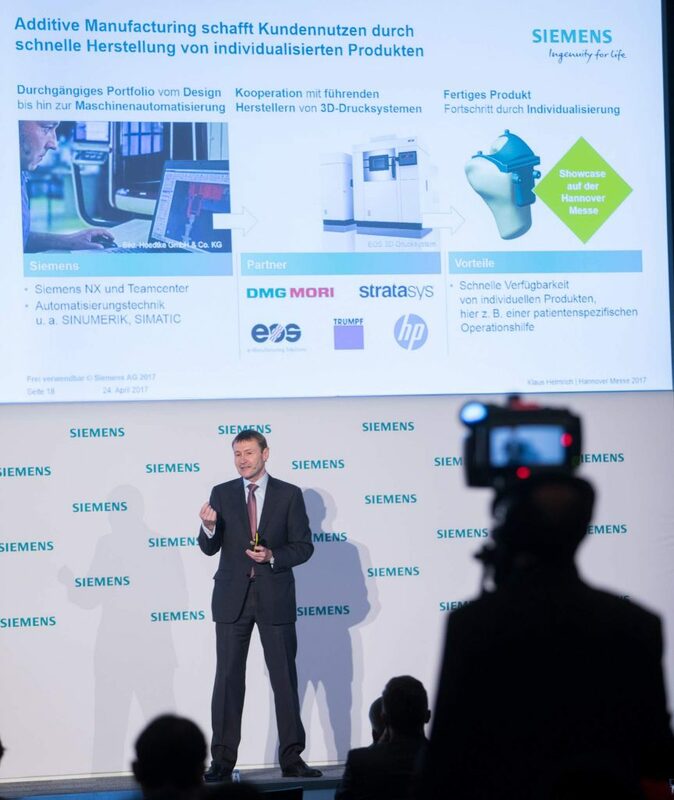 Siemens is one of the only companies addressing the diverse needs of all additive manufacturing market participants – from designers and engineers, to manufacturers, 3D printing machine OEMs, material vendors and software providers – with a comprehensive set of seamless technology solutions for distributed industrial additive manufacturing and co-innovation. The news was announced today at Hannover Messe, where the central theme of the 2017 event is Industry 4.0 and factory digitalization. As reported earlier today by 3D Printing Industry, SAP also launched their Distributed Manufacturing application at the industrial expo. 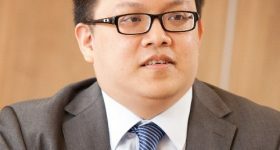 The SAP application, “connects engineering design and procurement teams with 3D printing service providers to optimize design and integrate order creation and procurement.” However, the SAP platform is focused on industrial buyers who do not require the design element and instead need a procurement solution. 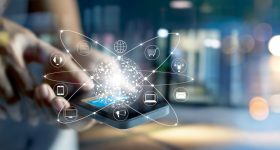 While Both SAP and Siemens offer PLM solutions, of note is also a partnership between the two companies involving MindSphere, an IOT Platform for industrial customers, that was announced in August 2016. 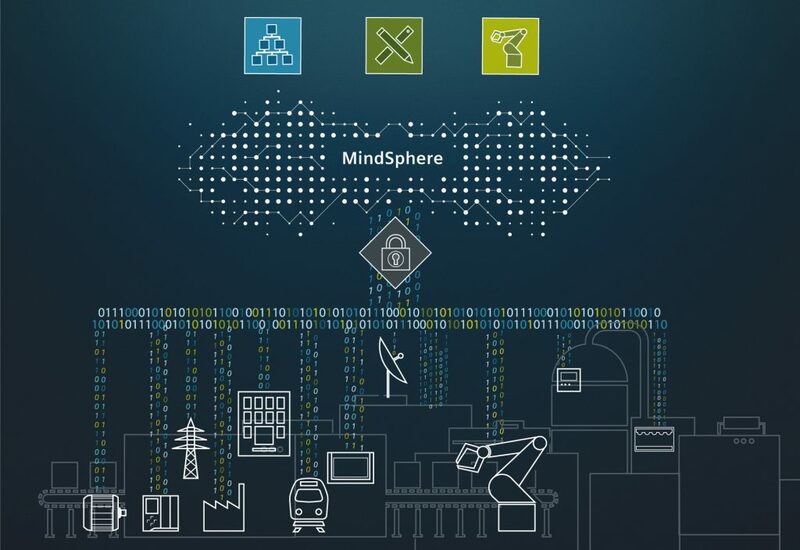 With new partners, apps and extended connectivity, Siemens is driving forward the expansion of its cloud-based open IoT operating system MindSphere. 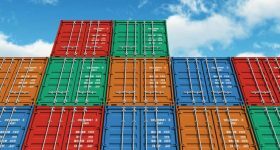 First open, industrial IoT operating system to provide plug-and-play connectivity, multiple deployment options with an open interface model and a unique “app-like marketplace” to connect leading Industrial IoT technology providers to enable companies to connect their physical infrastructure to the digital world. MindSphere is a Siemens product, and built on the SAP HANA Cloud Platform. 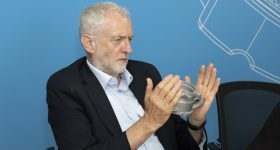 Theoretically this would mean that if at some later point in time Siemens and SAP were to integrate their additive manufacturing platforms the task would be somewhat easier than if the underlying platforms were separate. 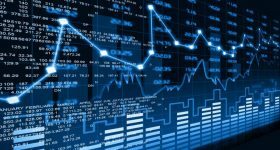 The new digital platform is expected to launch in mid-2018. 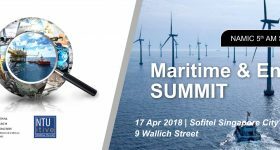 Interested participants are invited to contact Siemens about early access. 3D Printing Industry will bring you further updates about developments regarding end-to-end solutions for advanced manufacturing, subscribe to our free newsletter and follow our active social media accounts to be the first with the news. 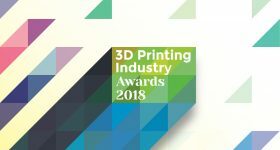 Also, don’t forget that voting is now open for the 1st Annual 3D Printing Industry Awards, where our readers have nominated the companies leading the 3D Printing Industry. You can make your vote here. Featured image shows Siemens CEO Joe Kaeser handing over a 3D printed duplicate to Chancellor Angela Merkel during her visit at the Siemens booth with Polish Prime Minister Beata Szydło. Photo via Siemens.